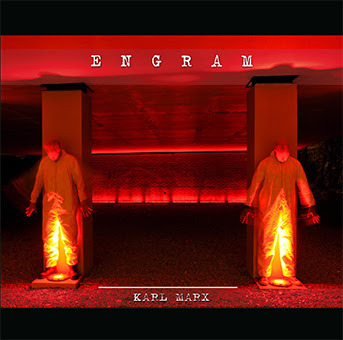 ENGRAM – Karl Marx – Chain D.L.K. and available on bandcamp as “Name your price” until that date. ENGRAM follow up with the single from the forthcoming album. An 80’s influenced political marriage of minimal synth wave and dark electronic rhythms and textures. Karl Marx has a new platform on the electro dancefloor. CD and download compilations worldwide. John and Martin have each created and performed electronic experiments in sound for 30 years; Martin with ATTRITION, John under his own name.